Hit a Hole in one! 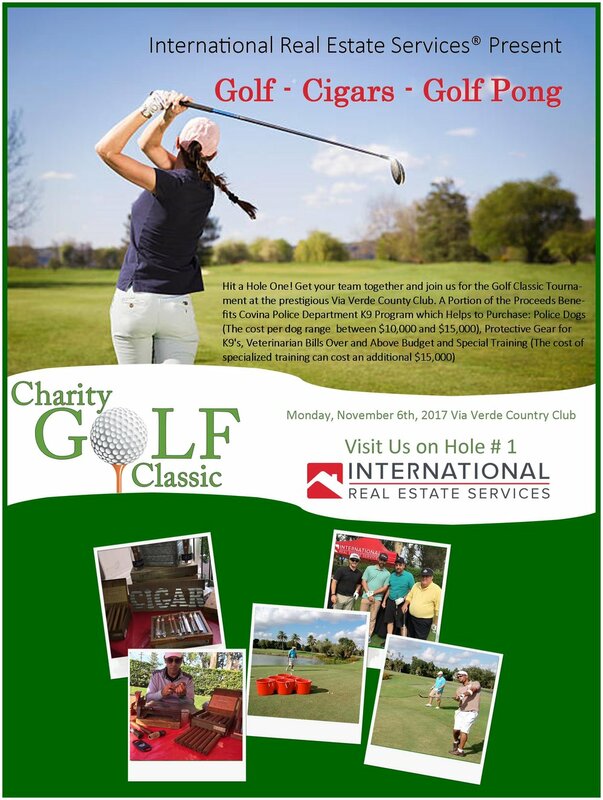 Get your team together and join us for the Golf Classic Tournament at the prestigious Via Verde Country Club. A portions of the proceeds benefits the Covina Police Departments K9 program.